Thank you for considering the Duke Forest for your research endeavors! We welcome all researchers, whether affiliated with Duke University or beyond. Before you begin your research, please contact the Office of the Duke Forest to discuss the specifics of the project at (919) 613-8013 or dukeforest@duke.edu. Sending an abstract or grant proposal is always helpful, if available. Forest Staff can assist you with many different aspects of your project, from site selection and logistics to utility hook-ups and stand management. Read the Guidelines for Research Use in the Duke Forest. Register your research once you know the site and specific details of the project. If you are proposing to do research within the established research site of another researcher, you are still required to register your specific activity. Registering is extremely important as it is the only way for the Office of the Duke Forest to ensure compatibility of the various research projects with each other and with forest management activities. Await your Research Approval. Duke Forest Staff promptly reviews your Research Registration and provides you with a Research Approval form, which is the ‘go-ahead’ to start your work in the Forest. The approval form may have additional conditions that are specific to the site or proposed activities. Start your work and remember that Duke Forest Staff are available to help you in every step of the project. Submit an annual Research Report about your activities on the Forest upon request. Maintaining up-to-date information on research projects and infrastructure within the Forest is necessary for the Office of the Duke Forest to efficiently administer research use. 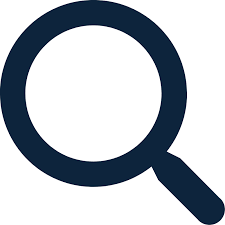 Register any new projects that are not contained within the site allotted for your current research; that seeks to answer a different question than the one you are already exploring; and/or that will occur within the established research site of another researcher.